So, what have actors got to do with IT, well read on and find out! You will recognise this stick figure, our first crude attempt at drawing a human figure, and in my case the acme of my artistic ability! In my day job as a Business Analyst I draw a lot of these figures, as Actors or role-players in stories. I will explain these terms later. Why stick people? Not surprising really, because a lot of IT is about people. For example the need to understand what your sponsor or client is asking for or what your Customer wants. Maybe they are paying for your goods or accessing your service, but what is their story? However, there is a problem here, I have mentioned a sponsor, a client, a Customer, a Paying Customer and a Service User…these could be the same person, or represent different conflicting interests. 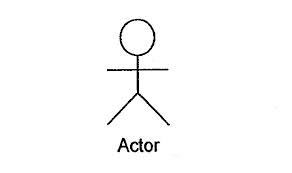 So an Actor becomes an embodiment (no pun intended!) of a person of interest, or more correctly, a role player. 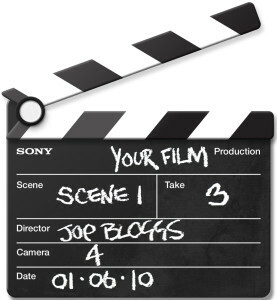 Actors interact with systems or take part in processes in an active or passive supporting role. They may have specific needs, goals and motivations. They are in a broad sense stake-holders, and its good to know as much as possible about your stakeholders, what they do, what they think and what they feel. They are gender-neutral and represent a role (role player), not a named individual. They can also be systems, such as a computer, website, an organisation, or software program – anything that has a role to play. Actors can have relationships or connections with other Actors! They can be part of a Use Case* definition or diagram notation – but not exclusively. They can be useful to help capture software requirements, documenting how an organisation works, or to establish the scope of a project etc. As computing and IT has moved more into the multimedia mainstream, particularly via the internet, the Web and smart devices, so the language has evolved. Where IT used to borrow words and metaphors from electronics, engineering, publishing and commerce, now there is a new kid on the block. Software is now a medium for informing and entertaining, for turning stories into reality. Software and User requirements might be described as User Stories, a website might be story-boarded to determine the Customer journey – although each web page will probably be designed as a ‘wire frame’, which suggests an older and more prosaic discipline of modelling and prototyping. Products and business applications now have a narrative and a back-story, particularly where there is a strong marketing involvement. Who knows, maybe somewhere out there a Project Manager may have been replaced by a Director, and a Business Analyst is called a Screenwriter? I’m looking forward to my BAFTA nomination next year! Is the concept of an Actor useful in your job or company? Can you think of other borrowed words or concepts from the entertainment industry?